Tesla Motors delivered the 100th Roadster in Switzerland to its new owner Martin Meier just four months after the first anniversary of the opening of Tesla's Zurich Store. The Swiss architect received the keys of his Obsidian Black electric Roadster from George Blankenship, Tesla's Vice President of Worldwide Sales and Ownership Experience. "The main reason I bought the Roadster is that I don't want to explain to my young daughter why I didn't do more for the environment," said Meier, who bought the Roadster with his business partner. "From now on, I'll drive entirely emissions-free with electric power derived from the river next to my house. It feels great to be completely independent of the oil industry." Switzerland has the highest per capita Tesla ownership of any country. 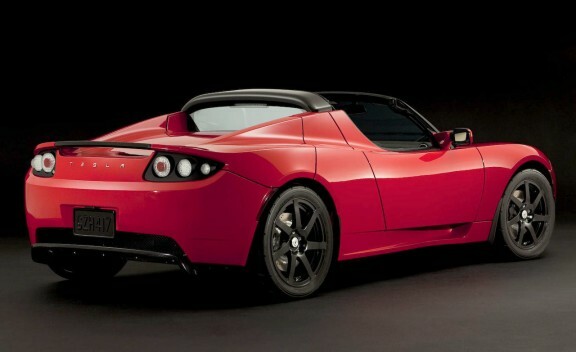 "The fact that Switzerland has embraced the Roadster makes complete sense. Swiss consumers are thought leaders who seek out cutting edge technology as well as environmentally-responsible solutions," explains Blankenship. "The Roadster, a revolutionary high-performance sports car with zero emissions that can be charged completely with renewable energy, offers all of this, and more." The Roadster accelerates faster than most supercars yet produces no emissions. It consumes no petroleum and plugs into conventional sockets – in owners' garages or offices, hotels, parking decks or at a growing number of charging stations throughout Switzerland. Several Swiss customers charge their Roadsters on 100 percent solar power from their photovoltaic panels. Unlike petrol-powered vehicles, the single-speed Roadster does not require oxygen and therefore does not lose efficiency at altitude. Roadster owners can drive with utmost confidence on Alpine passes, enjoying the car's legendary torque without lag or downshifting. Regenerative braking allows the Roadster to recover energy on downhill stretches. Sophisticated power management software means the Roadster's revolutionary traction control is almost instantaneous.